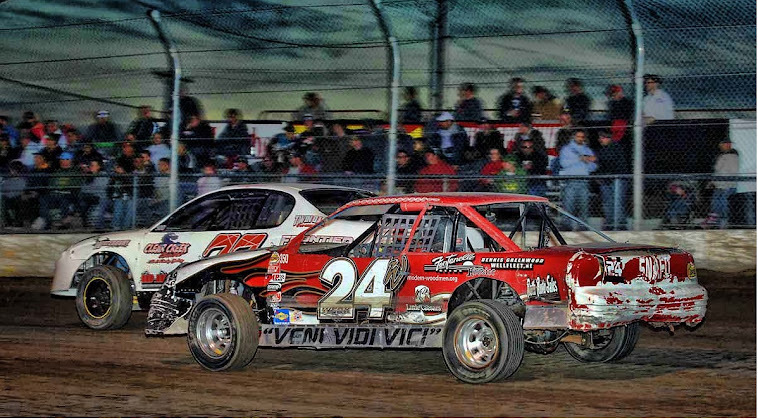 Photos Courtesy of Jim Ambruoso & Jim Ambruoso Jr.
Kenny Joosten won his second Mid-American Series NSTC feature. 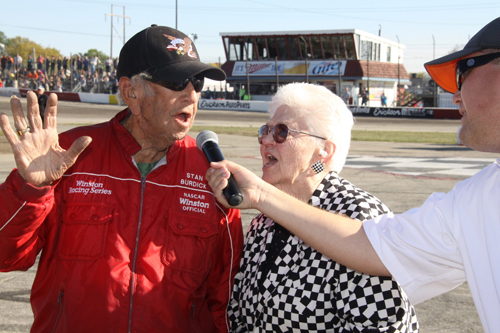 Long-time Rockford employee Stan Burdick and Rockford Speedway CEO Jody Deery give the command to start your engines to drivers of the 47th Annual Nation Short Track Championships. 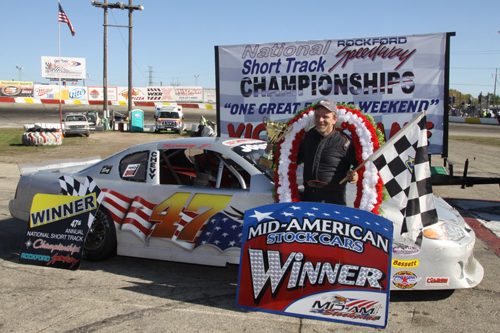 Rich Bickle, Janesville, WI., becomes a two-time NSTC Champion. 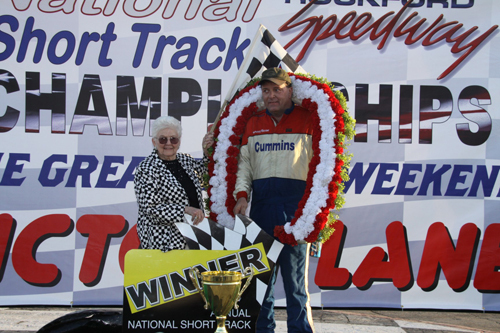 Pictured with Rich is Speedway CEO Jody Deery. 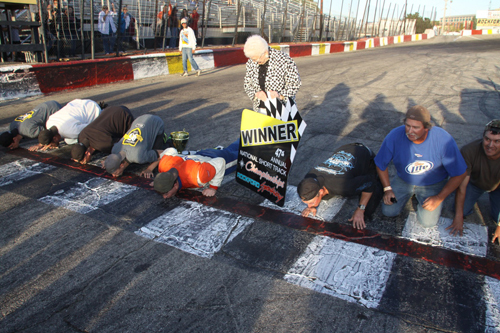 Rich Bickle with his crew and friends, kneel down as kiss the start/finish line bricks of Rockford Speedway in victory. 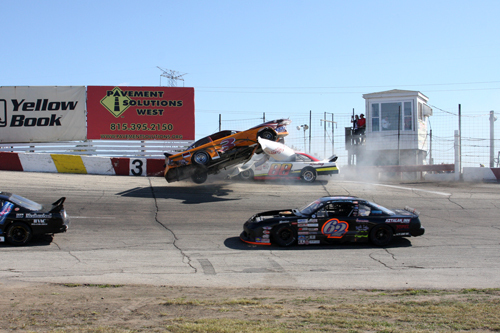 Making contact with the protection barrier of turn 3 can make for a high flying experience as seen here between the # 88 Rick Corso and # 3. 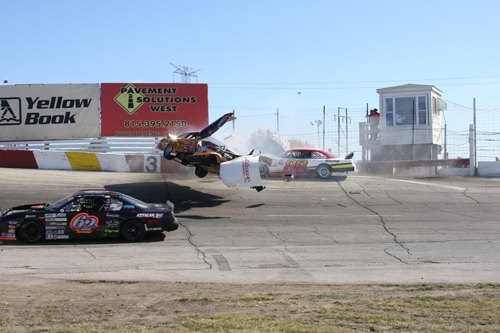 Both drivers were uninjured. 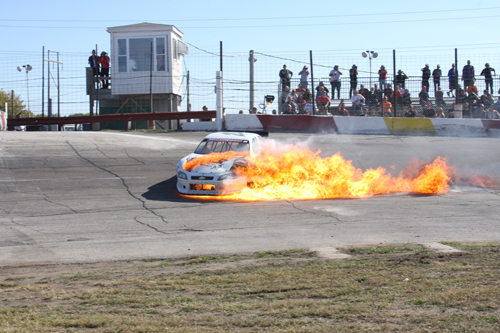 Things got a little hot for Jeremy Spoonmore during his Mid-American Series feature event. 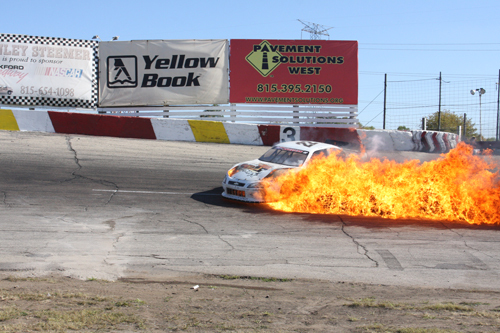 He escaped without injury.